Welcome to Fantasy Football Tips Gameweek 26. Everton v Man City brought GW25 to a close, and what a game-week it was. Some were heralding it as season-defining, and for some, this may indeed be the case with 50+ point swings creating shifts in ranks in Mini Leagues around the globe. In the weekend fixtures, it was strike one to those who had kept Hazard (I sold him for Sane 10 minutes before the deadline!) and/or captained (or TC) Aguero (I moved my (C) off Aguero when I did the aforementioned move). Those of us that handed Sane the armband (and again some with the Triple) could only look on with envious eyes and thoughts of ‘what if’. Speculation then moved to who would start in the first Double Game-week fixture of the season, those with Sane, crossing everything that he would start and score, some (me) would have been quite happy for him to not get a single minute and for VC Aguero to come into play. In the end, Sane got the start… but so did Aguero. Sane was subbed off on the 59th minute confirming that Pep clearly hates FPL or at least didn’t have Sane in his personal FPL team. What can you do? I for one will look forward to picking my City assets in the next Double Game-weeks! 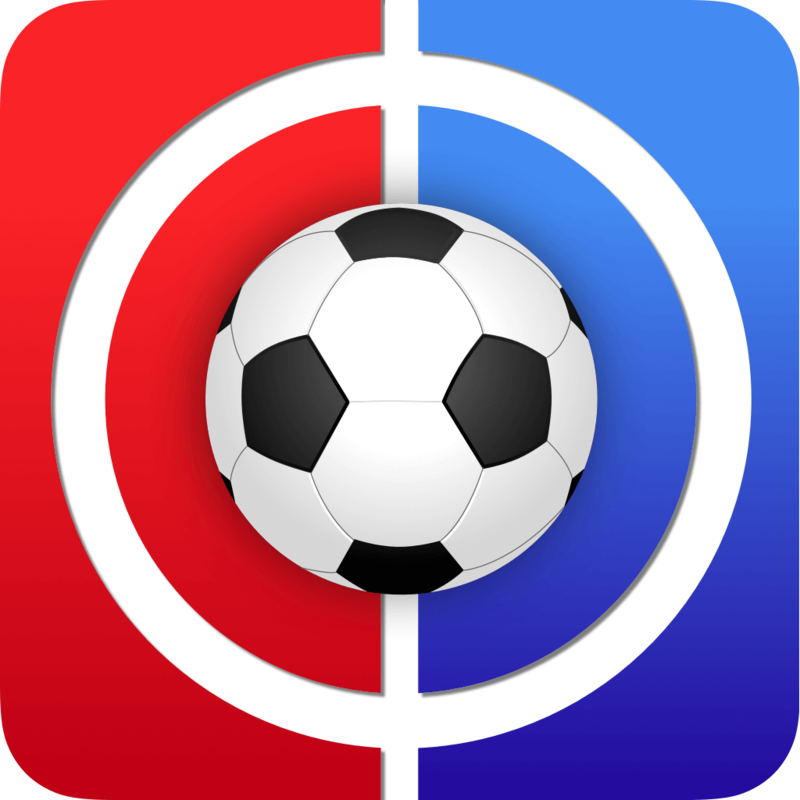 Anyway, it’s over now, a new game week arrives in just a few days and we all have transfers to make. Perhaps some of you have already identified this week’s transfer targets, but either way, fear not, I’ve selected players who could come into your thinking both this game-week and beyond. 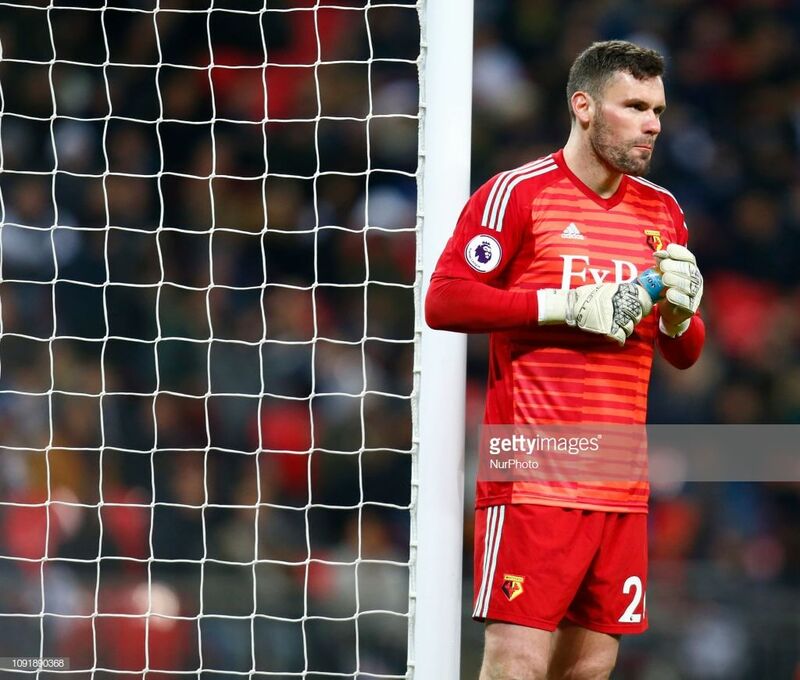 If you’re looking for a keeper in-form, then Watford’s Ben Foster is your man. The £4.6m stopper has racked up an impressive 27 saves in his last 6 games; a feat matched only by David De Gea. He may only have 2 clean sheets in those games, but those saves add up meaning its an impressive 28pts in the same period, as a comparison Alison has 14pts in the same period. Why spend the big bucks? Talking of ‘in-form’, Bournemouth’s Artur Boruc has picked up 18pts in his last 3 matches since his return to the Cherries starting eleven. Bournemouth are not exactly renowned for their defensive capabilities, but their fixtures take a turn for the better in GW30, they have a guaranteed game in both GW31 and 33 and here’s the best bit; he’s £3.9m. If Boruc can retain his starting spot, he’ll be a shoo-in for everyone’s second keeper, especially if you want to hold on to your current number one through the blanks. 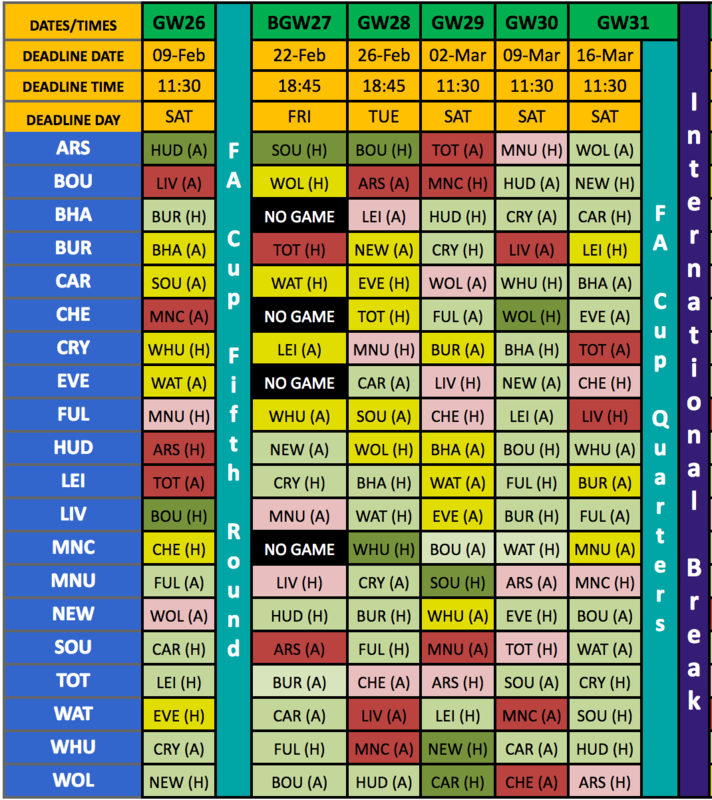 If you’re more a fixtures over form kind of player then once Brighton get through their blank in GW27, its a sea of green on the fixture tracker that runs all the way through to GW37 with their only ‘Top six opposition being Spurs (A). Mathew Ryan has dropped in price (£4.4m) and looks a safe bet to add to his 4 clean sheets this season, up next it’s Burnley (H), Leicester (A), Huddersfield (H), Palace (A), Cardiff (H), Southampton (H). Tasty. I really should keep this one to myself given that I’ve owned him for 7 game-weeks and I’m still in the minority (4.1% ownership). 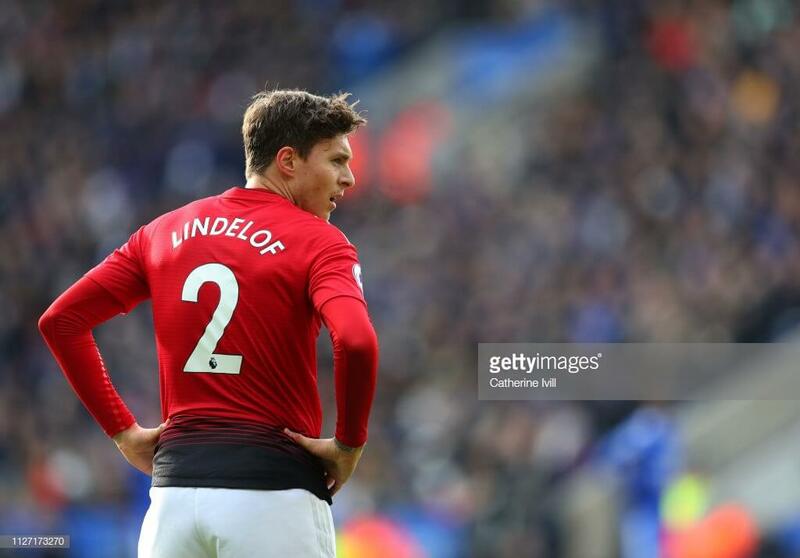 Victor Lindelöf has scored me 36pts thanks to 4 clean sheets in 7, and his last minute goal (and maximum bonus) in GW24 was an unexpected delight. Cheap as chips at £4.9 he’s a canny buy for a defence that’s finally starting to show promise. The Red Devils play Palace, Fulham and Southampton in three of the next 4; champion. I’m not going to start banging on about the blanks and double game-weeks but that doesn’t mean they should be ignored. With a guaranteed fixture in both GW31 and 33, Leicester are a team worthy of investment. 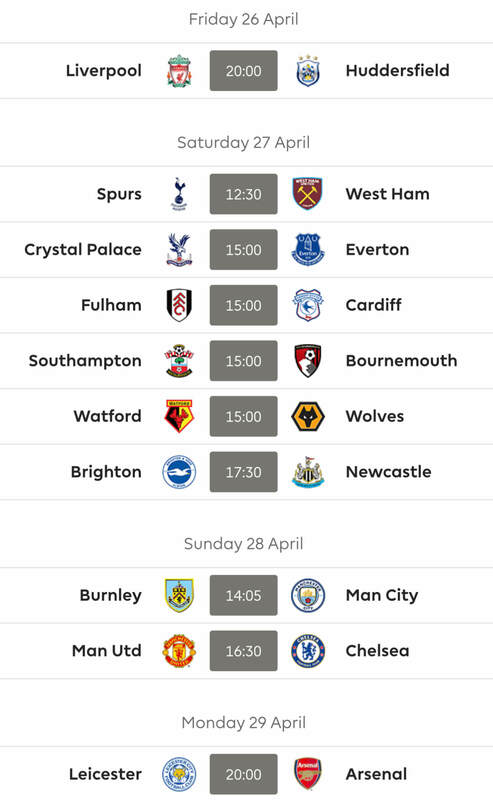 It’s Spurs this week, so hold your horses, but in GW27 they start a run of nine fixtures that could not be much better. Ricardo Pereira (£5.3m) is the obvious pick (2 goals and 5 assists) or if you like your players ‘squarer of head‘ then Harry Maguire’s (£5.4m – 3 goals 1 assist) your man. If you haven’t already, buy a Liverpool defender, sod it buy two if you can. I’m not going to go too in-depth here, they have the best defence irrespective of opposition and have a guaranteed game in both the potential blank game-weeks 31 and 33. Virgil van Dijk and Andrew Robertson are your safest bets but you could grab TAA (if he ever comes back from injury) and be fairly confident he’ll play most weeks. I’ll admit I wrote this before both of their recent 1-1 draws, and I almost deleted it but I do think they’ll come good once more and those guaranteed games in 31 and 33 make them a must in my opinion. Jose Holebas has thus far been the Watford defender of choice with a 13.8% ownership, but you’re cooler than that right? Craig Cathcart is owned by a paltry 1.0%, which is a damn shame given that he’s picked up 21 points in his last 3 thanks to 2 goals and a clean-sheet. Their upcoming fixtures look grim at first glance, but if you view them as part of a rotating trio with Wolves and Palace (who we all own) they don’t look half bad. My final picks are all based on fixture ease. Brighton are first up with Burnley (H), BLANK Leicester (A), Huddersfield (H), Palace (A). Shane Duffy (£4.6m – 4 goals 2 assists) would be the go-to choice. Next up it’s Wolves; Newcastle (H), Bournemouth (A), Huddersfield (A), Cardiff (H). Matt Doherty (£5.2m – 3 goals 5 assists) is the obvious pick, but for sheer value for money Ryan Bennett (£4.1m) is not too shabby either. Finally, Its Arsenal; Huddersfield (A), Southampton (H), Bournemouth (H). Surely they can get a clean-sheet out of that lot? Laurent Koscielny (£5.4m) has 2 goals in his last 2 games and is a good differential (£0.4% ownership) but I think you’re better going with Sead Kolasinac who’s cheaper (£5.0m) and less likely to pick up an injury every other week. Over 300k started the season with Diogo Jota, but as we’ve seen time and time again with promoted teams; for every Charlie Austin there’s a Patrick Bamford, and until recently Jota was certainly more Bamford than Austin. Thankfully just in time for Richarlison’s obligatory post-Christmas hibernation, Jota is showing the kind of form that many hoped for. He’s picked up 54pts in his last 7 games (5 goals, 4 assists), still has low ownership (3.3%), cheap as Mike Ashley (£6.0m) and is playing as a striker. What’s not to like? Short of dough? No problem. Look no further than Jota’s team-mate João Moutinho (£5.2m) who has picked up 27pts in his last 3 thanks to 5 assists. A quick reminder of those fixtures up next for Wolves; Newcastle (H), Bournemouth (A), Huddersfield (A), Cardiff (H). Last season Pascal Groß was a great value pick and looked to be once again despite his starting price of £7.0m. Injury blighted his early season and he hasn’t really looked himself since his return in GW13. However, as Brighton’s fixtures start to improve (Burnley (H), Leicester (A), Huddersfield (H), Palace (A)) so too has the form of Groß; 21pts in his last 3. and he’s drop to a slightly more palatable £6.7m. The German is also a bonus point magnet, perfectly illustrated in Brighton’s 0-0 draw in GW25 where he picked up all 3 thanks to a whopping 10 chances created, 6pts is 6pts no matter how you get them. Brighton do have a blank in GW27 so maybe hold off till GW28 on this one. Every year there’ll be a few key decisions that ultimately define your FPL season. For many, one such decision was to ignore Son Heung-min throughout December because ‘he was going on international duty’. Every one of his 54pts was a kick in the knackers, and in the end, he missed just a solitary game. Balls. He’s only been back just over a week and has already played twice and scored twice, another 20pts of pain. Well, I’ll let you in on a secret, he’s in my team for the first time this season and it feels really rather good. In GW27, most will have to decide what to do with their high priced Man City and Chelsea assets. You could bench them, its only one week after all, but you may be better served putting that money on the pitch. Sadio Mané is something of a differential; 24pts in his last three, his live ownership is sub 14% and a double-up with Salah could be an inspired move for those with one eye on the upcoming blanks in GWW31 and 33. I don’t want to be accused of being lazy so I’ve also lined up a trio of forwards who could offer a saving or a similarly priced alternative to what will likely form the ‘template’ in coming weeks. 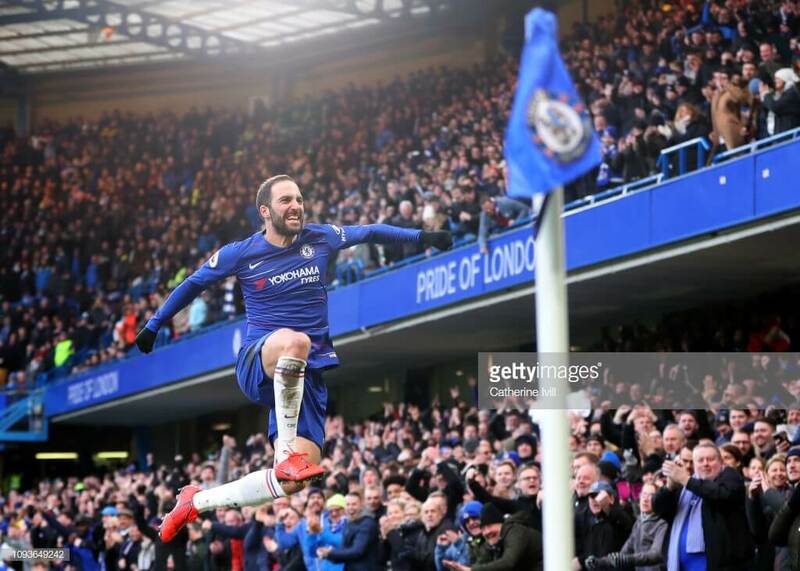 I wouldn’t look to bring in Gonzalo Higuaín this week (Man City (A)) or next (when Chelsea blank) and whilst its difficult to draw any real conclusions from their 5-0 demolition of league whipping boys Huddersfield, there was something in the way Higuaín linked up with Eden Hazard that suggests we’ll all be trying to squeeze him into our teams in a few weeks time. 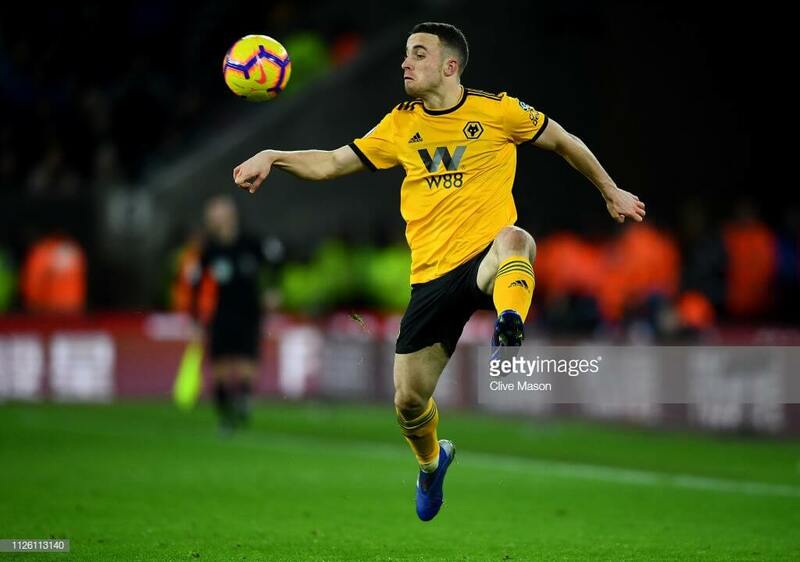 He scored twice at the weekend; his first was all about his movement, his second a piece of individual brilliance, at £9.5m he may prove to be a bit of a bargain come the end of the season. If you don’t have the money to shell out on Aubameyang then you could look to team-mate Alexandre Lacazette. He’s scored 3 goals in his last 5 and has picked up 25pts to Auba’s 27pts, you’ll also save a cool £2.0m. With Huddersfield (A), Southampton (H), Bournemouth (H) up next there’s a chance both will score well. Crystal Palace have been crying out for a decent striker since the day they signed Christian Benteke. Michy Batshuayi came in on loan until the end of the season and we’ve yet to really see what the ‘Batman’ can do if given a prolonged run in the Premier League, but an assist in his Eagles debut is encouraging. He’s only £6.5m so should you break from the template of Rashford and Jiminez he’s an easy switch. One to watch. That’s your lot folks, good luck in GW26 and may your arrows be green and glorious. Thanks for reading Fantasy Football Tips Gameweek 26. This article was written by Rosco. 71 (-4) for me which I’m content with. Cheers, Rosco. Will give that a proper read tomorrow. 105 all out for me, which to say I’m delighted with would be an understatement! First time in two seasons I’ve joined the 100 Club and I’ve gone from 321k to about 170k! Boruc had come from nowhere and I thought you might have included him. Higuain is warning up nicely to come in in a couple of weeks. The Groß form has caught my eye too. Served me well last season and I do like that price mate. Great shout. Great read. Very well out together and lots of great tips. Nice work sir. Excellent article, thanks Rosco. May have to do the Sane to Mane move. Good move and slots a very good GW31 player in. Tricky fixture in 27 but around that not bad at all.